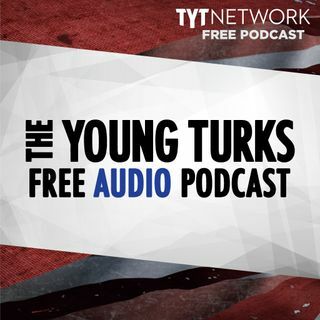 A portion of our Young Turks Main Show from February 8, 2018. For more go to http://www.tytnetwork.com/join. Hour 1: Cenk. The RNC will not be returning Wynn’s contributions following his sexual assault accusations. An FBI lawyer texted a bureau agent that then-President Obama “wants to know everything we’re doing” — a message that a Senate committee suggested could refer to the federal investigation of Hillary Clinton’s emails. The messages shared between attorney Lisa Page and her lover and ... See More bureau colleague Peter Strzok were released Wednesday by the Senate Homeland Security Committee, which provides oversight of the bureau, and is chaired by GOP Sen. Ron Johnson of Wisconsin. In one exchange, Page wrote to Strzok in September, 2016 about prepping FBI Director James Comey on talking points for an update he was planning to give Obama that said: “potus wants to know everything we’re doing.” Tensions between Republicans and Democrats on the House Intelligence Committee have reportedly become so hostile that GOP members of the committee are planning to build a literal wall separating the two parties’ staffers. Rep. John Kennedy (R-La.) on Wednesday voiced opposition to President Trump’s proposed military parade, saying the U.S. doesn’t need to “show off” its military power. Hour 2: Former White House aide Omarosa Manigault Newman offered a dire outlook of the U.S. under President Donald Trump while taping "Celebrity Big Brother," tearfully cautioning that the country is "going to not be OK." Police in Lancaster, PA say that a poorly-drawn sketch — see above — went a long way in terms of helping their investigation into a theft at a farmers’ market. The incident happened last month when a suspect disguised himself as a vendor and ran off with cash he took from a stand in Central Market.